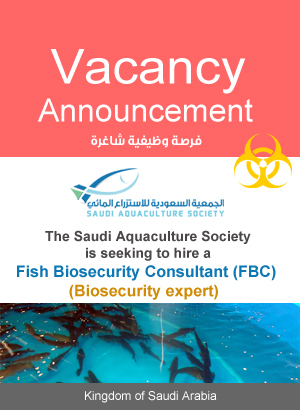 SAS provides the opportunity for the competent companies and authorities in field of Aquaculture locally and globally and renders services of commercial publications through the SAS Website or through the magazine and other publications in the future. In its capacity as the umbrella that supervises and directs the promising Aquaculture Sector within KSA, SAS has the powers and ability to access to all companies and individuals desiring to invest in the Aquaculture in KSA. Thereupon, the commercial advertisement at SAS ensures the real access to the investors and concerned persons directly and thus giving a great opportunity to the advertising companies to market their products and offer the same directly to the companies and individuals that invest within the Kingdom. While the Agriculture Development Fund and Ministry of Agriculture in KSA adopt the national strategy for supporting and developing the aquaculture sector, achieving the Food Security and reaching to 1 million tons from the Fishery Products by 2029 AD and great support to be submitted by the Government Authorities to the Investors in this Sector, it is expected that the Saudi Market shall be one of the most important markets targeted by the Global Companies desiring to Market their products related to the Industry. 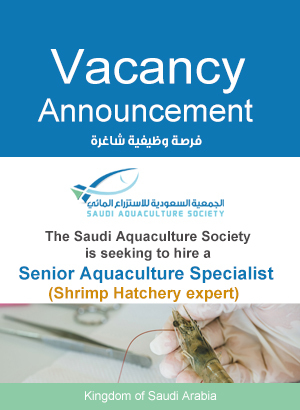 Therefore, it is expected that there will be a great leap in Aquaculture Sector in KSA and that many and various investments will enter to all aspects related to Aquaculture Industry (consultations, supervisory, studies, designs, technical aspects, preparation, marketing ….. etc). • The submitted advertisements shall be within Aquaculture Industry Sector and the services related thereto as shown in Article Two of Advertisements Chapter. • The advertising companies and authorities shall be authentic and from the known authorities that renders services characterized with quality and authenticity at the customers and have experiences in their field. • The advertising companies shall assume the whole results towards the others, if the advertisement formed any breach to the rights of other authorities. • The advertisement may not cause any damage to competitive products or companies within KSA and the competitiveness shall be taken into consideration in this regard. • The advertising companies shall submit the design of the advertisement according to the conditions set by the Section of Communications & IT supervising on the Website and it shall be consistent with the general design of the website.